MuscleNerd, a member of the Dev-Team, recently tweeted that they have untethered the jailbreak for iOS 4.2.1. The jailbreak will cover all devices. There is no info about a release date but we will keep our eyes open! I can’t wait! Below is a demo video and what MuscleNerd has to say about it. The Dev-Team has updated their blog post about the ultrasn0w unlock for iOS 4.2.1 with simplified directions. Below is the simple version of the unlock process. 1. Read and fully understand the warning below. 2. If you have an old-bootrom 3GS and are already unlockable but want to get to 4.2.1, please wait til we release an “unofficial” bundle for you. Read no further. 3. Read update #1 for an updated 3GS bundle. 5. Run PwnageTool to create a custom 4.1 IPSW. Tell it you want to use the iPad baseband you just downloaded. Restore to this custom IPSW. 8. If you don’t have a Mac, redsn0w will be released within a few hours to handle this. Below is the full post from the Dev-Team’s blog… you will want to read it before using ultrasn0w. The Dev-Team has released the much anticipated update to the unltrasn0w unlock that unlocks iOS 4.2.1 on the iPhone 3G and 3GS. Below is what they have to say… make sure you read it thoroughly. Today we’re pleased to announce our free carrier unlock for iPhone3G/3GS owners with a baseband later than 05.13.04. The unlock for that baseband exploited the AT+XAPP command, thanks to a crash initially discovered by @sherif_hashim (@Oranav also found this crash). So what hole are we exploiting today, since Apple closed that AT+XAPP hole? Well, we’re exploiting the exact same hole! 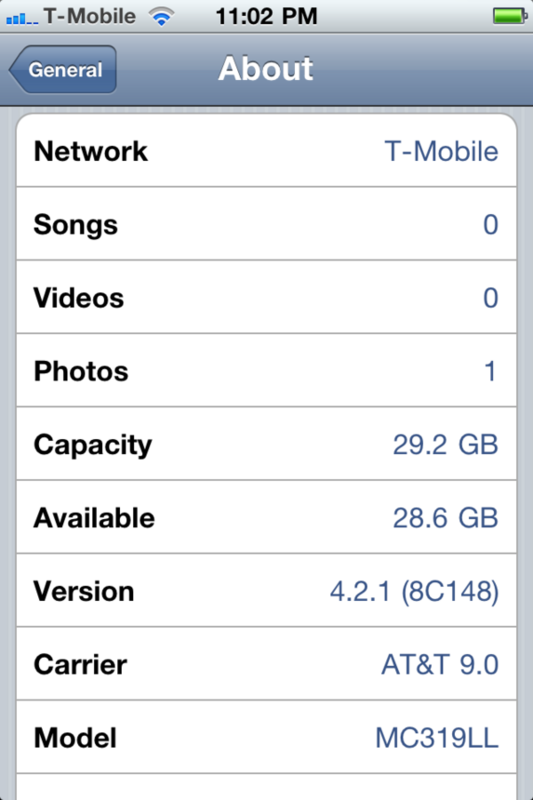 Earlier this morning, Musclenerd tweeted that ultrasn0w was finally fully working on iOS 4.2.1. He then answered a few questions about the unlock… below are a few of the details and some of the Q & A.
MuscleNerd, a member of the Dev-Team, recently tweeted that they are making good progress on the update to the ultrasn0w unlock and that it is on track to be released by Sunday. However, he does say that the iPhone 4 unlock is going to take longer and will not be included in this update of ultrasn0w. He also mentions not to keep an eye out for it today because, “…we celebrate Thanksgiving with family too!” :) Happy Thanksgiving! We will keep our eye out for the ultrasn0w update. The Dev-Team has updated their blog with information about iOS 4.2.1. The first thing to note is that ultrasn0w unlockers should not upgrade to iOS 4.2.1 (read below for more info). The second bit of info is that they have updated redsn0w to version 0.9.6b4 which jaibreaks iOS 4.2.1 however, you will want to read all the info below because some devices are still a tethered jailbreak. redsn0w is available for both the Mac and PC (links below). SBSettings, an application that allows you to quickly toggle settings on your device, has been updated to version 3.2.1. The update contains three bug fixes including a fix for the 4.2.1 firmware. Check out the full change log below. You can get SBSettings via the BigBoss source.